Who are the Dukas? 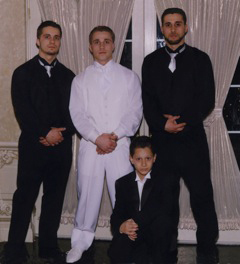 They are three brothers who were entrapped by the FBI and convicted in a case known as “The Fort Dix Five.” In January 2006, the young men––Eljvir, Dritan, and Shain Duka––made a videotape of themselves enjoying a vacation in the Poconos with their families, which included target shooting at a public shooting range. They brought the videotape to a Circuit City store clerk for duplication for their families. The clerk, being “troubled” by images that were really just young men horsing around, sent it to the FBI. The FBI responded by sending two agents provocateur to entrap the Duka brothers in criminal activity. 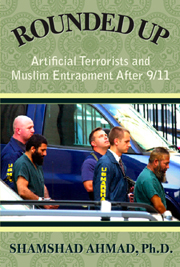 The agents showered attention on them and used money and manipulation to try to create interest in jihad. They asked the men to download jihadist videos, taunted them for their lack of resolve to take action, and followed them around with hidden tape recorders to record every word spoken. One agent talked alone in general terms with a relative of the brothers, Mohammed Shnewer, about how one might theoretically attack the Fort Dix army base. In response to the agent’s repeated demands, another defendant, Serdar Tatar, gave the agent a map of the Fort Dix base, which his father had used to deliver pizza there. (Tatar thought that the agent was suspicious and reported him to law enforcement, who said not to worry about it.) The other agent then persuaded the Duka brothers to buy some guns, supposedly for more target shooting in the Poconos, so they would not have to wait in line at public shooting ranges. At this point, the whole group was arrested and eventually convicted in 2008 of conspiracy to attack Fort Dix, even though no plans had been made to attack anything and the government’s own witness conceded that the Duka brothers had never been told about any conversation regarding Fort Dix. Under federal law, in a conspiracy case all associates are considered equally culpable, even if they do not know of the existence of a plan. 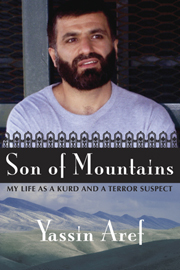 Thus the Duka brothers were convicted for essentially vacationing while Muslim and given life sentences plus 33 years for a plot they literally had never heard of. The U.S. Attorney who prosecuted the case was Chris Christie, now governor of New Jersey and candidate for U.S. president. Recently a higher court ordered a hearing on January 6, 2016 to determine whether the Duka brothers received a fair trial and effective representation from their lawyers. This hearing, which the three brothers will be allowed to attend in person, is a chance to call attention to this outrageous miscarriage of justice. The entrapment of the Duka brothers destroyed their families, which include six children, as well as the family roofing business on which the Duka brothers and their parents depended for support. 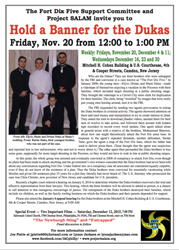 Please also attend the January 6 appeal hearing for the Duka brothers at the Mitchell H. Cohen Building & U.S. Courthouse, 4th & Cooper Streets, Camden, New Jersey, at 9:00 AM. People are urged to attend the January 6 Appeal hearings for three of the Fort Dix 5 at the Mitchell H. Cohen Building & U.S. Courthouse, 4th & Cooper Streets, Camden, NJ. More details will be described during the panel discussion.